If you’re shopping for a mattress, you’re going to bump into a lot of jargon. You may see words such as coils, foam, firm, soft, quilted, and tufted. With so many different concepts swirling around, it can be hard to know what’s what. To help you become a more informed shopper, here’s a look at what tufted means. Tufting is specifically a weaving technique. Commonly used for carpets and warm clothing, it’s also incredibly useful in mattress manufacturing. Tufting involves putting short loops of yarn, or in the case of mattresses, thick straps, through a base material. The tufts can be done on their own, or they can be used to connect two different materials. How Does Tufting Work in Weaving or Knitting? To illustrate how tufting works in weaving in general, imagine someone has just knitted a mitten. Once the mitten is complete, they take small pieces of yarn and they loop them through the mitten at regular intervals. The outside of the loop is visible on the outside of the mitten. The tufting can create a pattern with different colors; each tuft can be pulled tightly to draw the other yarns together to create texture; or the tufts can be integrated so they fit relatively seamlessly with the rest of the mitten. The ends of each loop are inside the mitten. Sometimes, the ends get tied together but not always. In all cases, the ends of the yarn fray. That creates a fuzzy layer that adds warmth to the mitten. When it comes to mattresses, tufting is roughly the same process. However, tufting is not just used to add texture and warmth. Rather, it’s used to secure the different layers of a mattress together. Instead of thin yarn, durable straps made specifically for tufting mattresses are used. Generally, tufting connects the top layer of the mattress with the comfortable layers beneath it. That construction keeps the comfortable layers in place, and it prevents the mattress from shifting and losing its shape. For instance, if you opt for a tufted pillow top mattress, the pillow top is connected to the rest of the mattress with tufting. Generally, mattress manufacturers put the loop on the inside of the mattress and the ends on the outside. Those tufts can be decorative and finished with a button or a rosette. When you look at a tufted mattress, you see small, even depressions throughout the mattress. What Is the Difference Between Tufting and Quilting? Rather than being tufted, some mattresses are quilted. That is another method of holding multiple layers together. However, rather than using loops, quilting uses lines of stitching to hold the mattress layers together. Some people prefer the look and feel of tufted mattresses, while others find that quilted mattresses feel smoother. Ultimately, that boils down to a personal decision. What Are the Benefits of Tufted Mattresses? When you decide to buy a tufted mattress, you get to enjoy a mattress that resists sinking or sagging. You get to enjoy the fact that the comfortable parts of your mattress stay where they are supposed to be. Ultimately, all these elements work together to help you get a better, more comfortable night’s sleep. Without tufting or a similar method such as quilting, mattresses wear out more quickly. The comfortable layers of the mattress can slip to the bottom, making it feel like you’re sleeping on a pile of springs. Are All Tufted Mattresses the Same? Unfortunately, just because a mattress is tufted doesn’t make it a superior mattress. When shopping for mattresses, it’s important to focus on quality. With an inferior quality or budget mattress, the tufts may have hard, plastic ends that can feel uncomfortable. 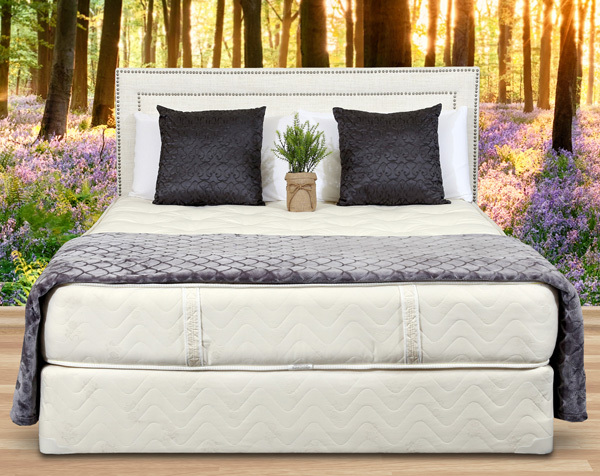 Ideally, when shopping, you want to look for a high-quality mattress that features top notch materials and hand tufting. At Gardner Mattress, we offer a signature tufted mattress as well as our organic classic tufted mattress. If that’s not your thing, check out our options. Regardless of what you choose, you can rest assured our mattresses feature the high-quality materials and construction you deserve. Contact us today at 1-800-564-2736 to learn more. Next article	Can a Bed with an Adjustable Base Help Ease Sleep Apnea Symptoms?